"Fitter, Faster and Stronger." We all heard it before but this is the first time I see a telco company practicing the motto within themselves through Maxis Health Engagement Programme. 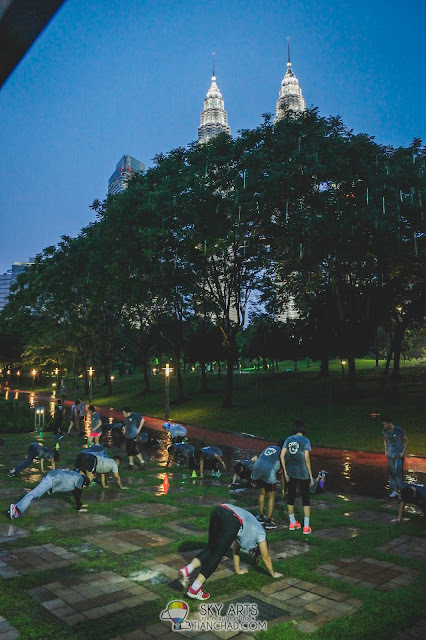 I was interested to see how their bootcamp works and Maxis was happy to let me join their bootcamp session which will be held at KLCC Park on every alternate working day (Mon, Wed, Fri). I am trying to maintain a healthy lifestyle by going to gym to workout or swimming from time to time, but sometimes I just don't have that motivation especially when I am doing it alone. From this bootcamp, I can see that they are going through this journey as a team and the spirit is there to keep them going. Even when the weather turned bad, they were still standing strong to complete the bootcamp session. I was well prepared with my exercise outfit but got chicken out last minute because it started to rain. 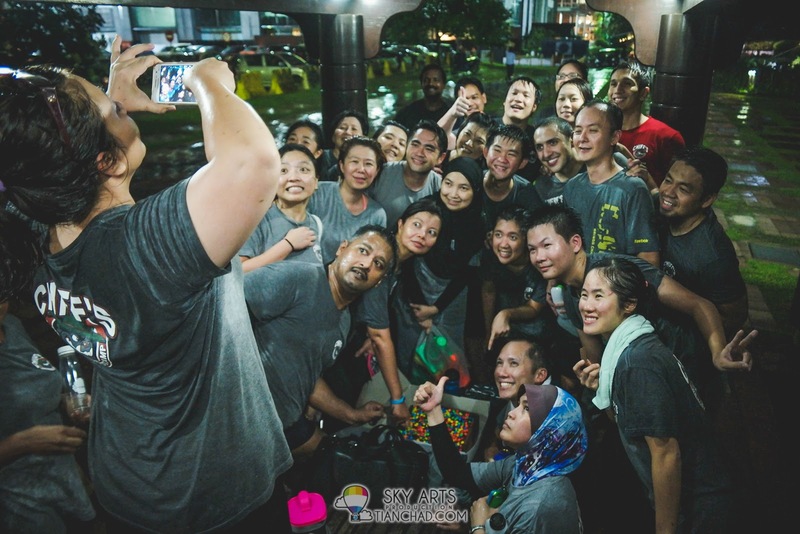 (I don't know why that I can easily caught with flu whenever I got just a little showered by the rain) So yeah, instead of joining them to complete the one and a half hour tough team exercise, I was there to document their journey instead. Do scroll down for the video that I've done regarding this event!! MAXIS HEALTH ENGAGEMENT PROGRAMMEThis #Fitterfasterstronger health programme was specially designed for Maxis employees. 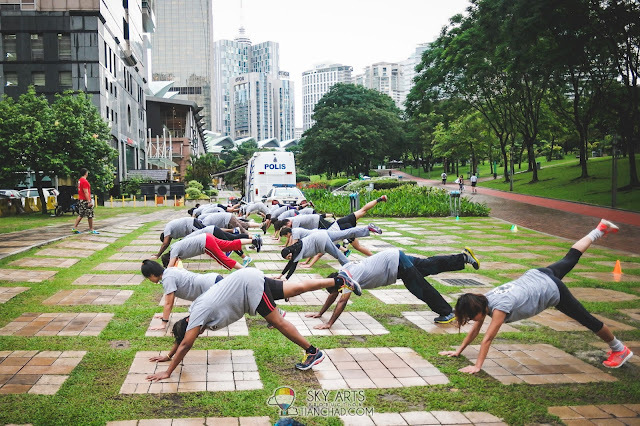 The objective of this programme is encourage a healthy lifestyle as part of their new way of working. 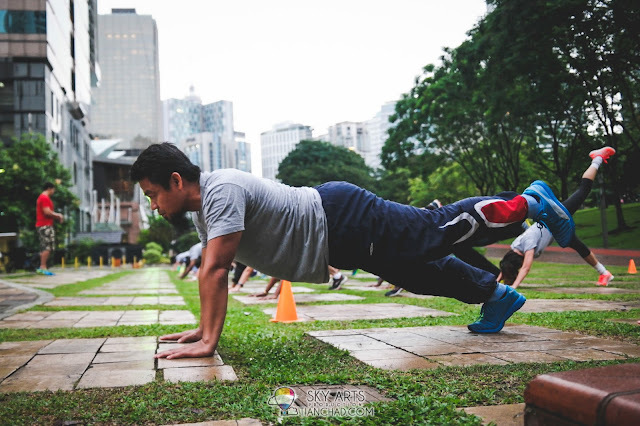 Maxis want to help their employees to improve their everyday quality of life and reduce the risk of disease and injury. 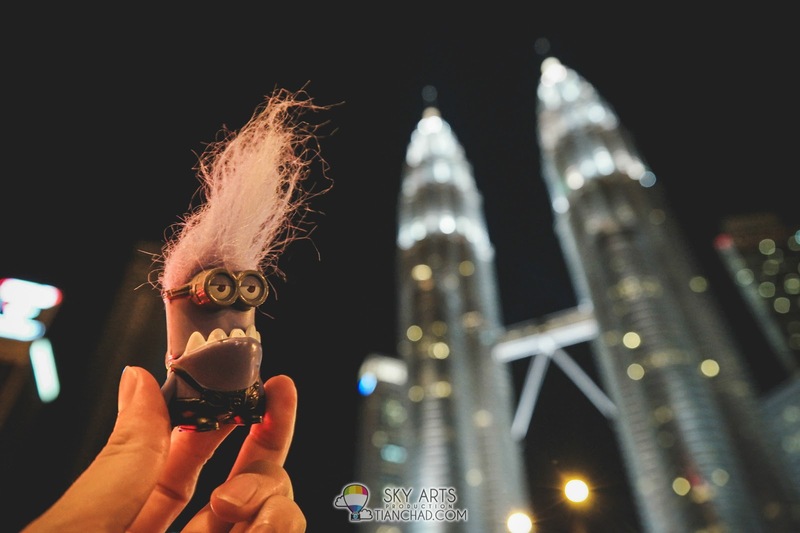 Other than that, this can improve workforce to be more positive and everyone is energized and stronger as one Maxis family. Maxis Health Engagement Programme was launched in Jan 28, 2015 and it’s a year-long programme with various activities already planned for the entire 2015. 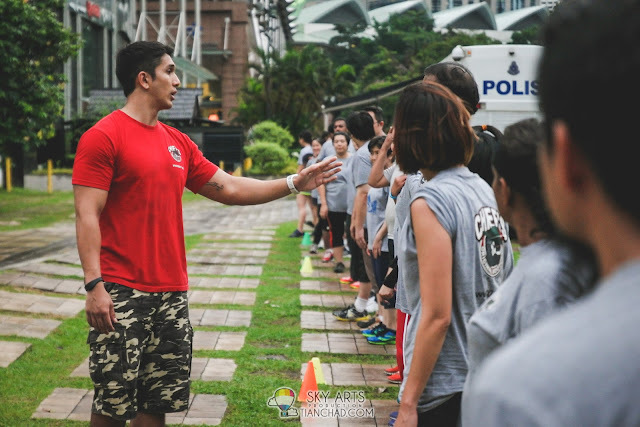 It was a gloomy day when the bootcamp started, the team members doing warm up together before the challenging exercise started. Different exercises were given by the instructor to keep the bootcamp fresh in every session. It does get tougher week by week. I was there during their second last session of the 8-weeks-challenge to lose weight and stay fit. Team winners will able to celebrate with a party yo. 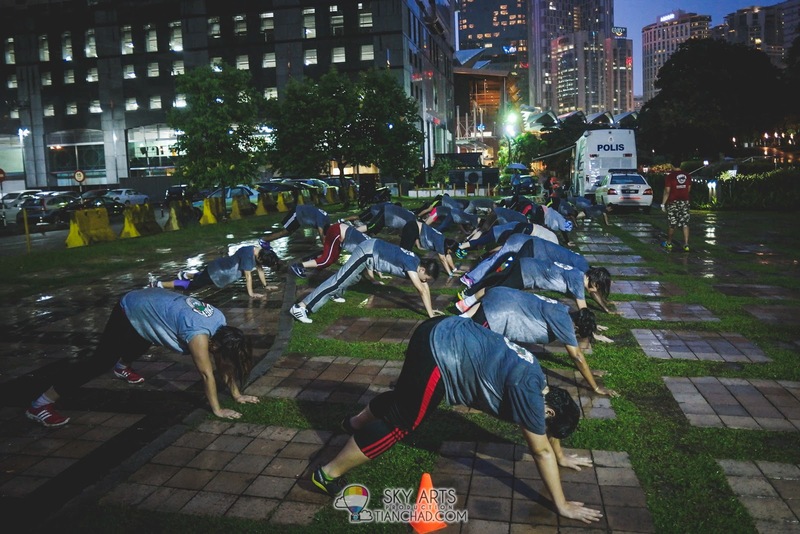 It was raining heavily halfway through the bootcamp, they never stop their exercise but willing to complete till the end. Bootcamp is definitely not easy. I did see a lot of smiling faces on them as soon as they completed their exercise together as a team. When one person doing exercise, the other team member will motivate his partner while waiting for his turn. This is the spirit that we need to become stronger together. Maxis CEO, Morten Lundal challenged the employees and set a company-wide target of 7% total weight loss in 8 weeks.This was followed by a massive nation-wide weigh-in where maxis employees went around to each location and got everyone to weigh in and obtained their BMI measurement. To make it fun we created a friendly competition among the divisionsie the division that loses the most weight at the end of the 8-weeks challenge, will be crowned the biggest loser and maxis will throw them a big party to celebrate. The first 8 weeks challenge has ended in April. 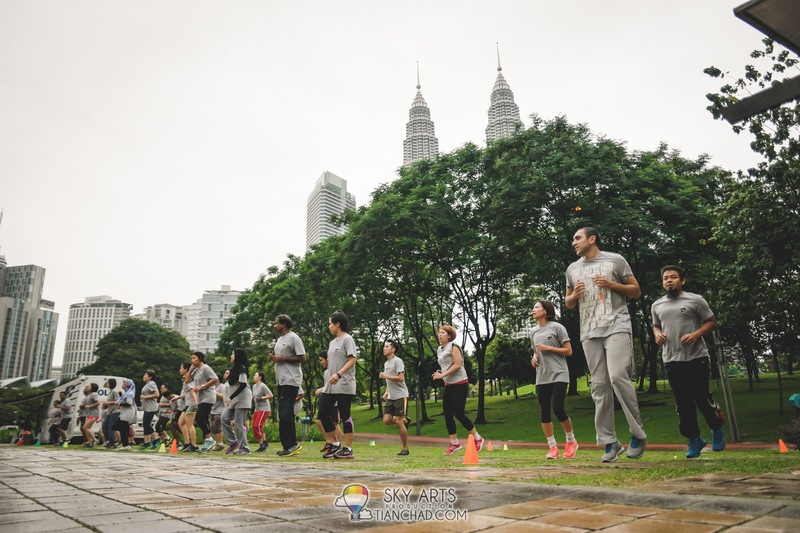 Maxis Health Engage Programme is separated into three different segment: Lifestyle, Empower and Health-ucate. For example, in Lifestyle segment they have varieties of programme like 8-week healthy meal plan, Bootcamp, Move it! (Body Balance, Body Attack, Body Jam), Myphysio, Quit it! (A quit smoking program), Excursion (Quarterly outings for employees across divisions and regions to enjoy fun outdoor activities).